It may have a quirky name, but the diminutive Yoggie Pico certainly is a serious approach to security. In short, it's a self-contained security suite on a USB stick. It intercepts all incoming data from your internet or network connection before it reaches your PC, with a full suite of 13 Linux-based security applications ready to keep you protected at all times. The benefit of moving your security to a separate device is twofold. First, because the Pico is essentially a separate PC that performs only one task, it can devote 100% of its resources to that task in a way that your PC simply can't do. Second, it frees up all the resources on your PC that you were using on that bulky all-purpose security suite in the first place. In other words, both your level of security and your speed are improved. It's a plug and play device, and once it has been recognised gets on with the job of scanning and protecting your PC, as you would expect from any security solution. In terms of hardware, the Pico is surprisingly powerful for its size - a Intel Pentium-level 520MHz platform with 128MB of its own memory. The software interface allows you to take as much or as little interest in the Pico's activity as you wish. It certainly allows you to connect and forget if you wish, but is also able to generate detailed and comprehensive reports on exactly what it's getting up to at any one time. In use the impressively detailed monitoring tools left us in little doubt it was doing a thorough job of protecting our PC. And there was a real speed boost too - showing just how resource-hungry those security packages are. We expect many people might be put off by the initial cost. The Personal version we looked at retails for £95, while a Pro version costs £106 and adds tools for centrally managing a network of Picos. After the first 12 months, subscription costs £16 per year, which sees the Pico start to represent far better value for money compared with the competition. Despite this high initial outlay, we can't help but give the Yoggie Pico a wholehearted thumbs-up. All-in-one security packages are just getting bulkier and bulkier with each new version, meaning anyone with a budget PC or a slightly older system needs to put up with snail-like performance or come up with another plan. 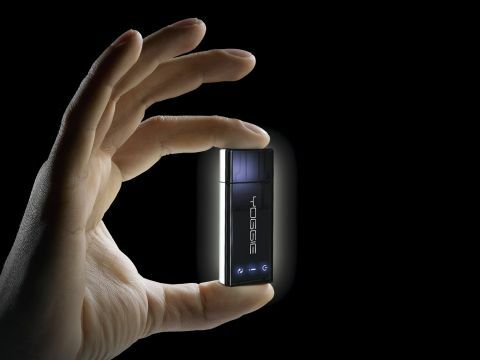 The Pico provides an innovative and effective alternative. And it does it very well too.